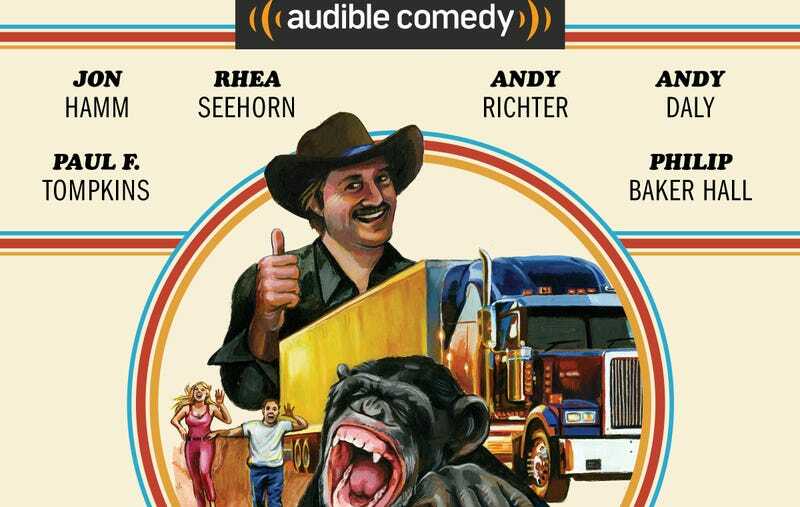 A stellar cast gathers to narrate Stinker Lets Loose, the purportedly resurfaced novelization of a supposedly beloved ’70s trucker film of the same name. The story is part Smokey And The Bandit trilogy, part Every Which Way But Loose; the titular Stinker leads lawmen on a wild chase that apparently includes a chimp. The audiobook, from Mike Sacks (And Here’s The Kicker, Poking A Dead Frog), is due out in January exclusively on Audible, and The A.V. Club has an exclusive clip featuring Jon Hamm as Stinker, who marvels at Gwyneth’s (Rhea Seehorn) science skills. Uh, in any case, Stinker Lets Loose will be out in January 2018 on Audible, the same week that the cast will gather at SF Sketchfest for a table read.